Not so much underrated as unrated. Never heard. Unknown. Even in 1998, Juliana Hatfield’s moment had passed. Her moment, a brief one, came with the release of My Sister and its parent album Become What You Are in 1993. When Bed came out five years later, it was on a new, smaller label, and to respectful reviews but commercial indifference. Her time at Atlantic had ended acrimoniously after the label nixed several versions of a proposed release to be called God’s Foot. They let her out of her contract one record early, at the cost of the songs recorded up to that point remaining the label’s property (recording costs reported to be around $180,000 had already been spent). Her next release, Bed, was recorded in six days for new label Zoe, and was left purposely rough around the edges. She had a couple of excellent supporting players in drummer Todd Philips and the late Mikey Welsh on bass (a Weezer veteran), and the performances from the pair are impressive throughout. The songs are a spotty bunch, though, and the album sags badly after a strong first half. Philips, an ad exec by day these days, has had a long and varied career. He played drums with Bullet LaVolta before working with Hatfield in the 1990s, Nowadays he plays in a reformed Juliana Hatfield Three and the Lemonheads (of whom Hatfield is also a veteran). He was rock solid all the way through Bed, playing intelligent and musical kick drum patterns throughout, and taking advantage of the spare arrangements to make every element of his drum performances count. With mixes and arrangements as sparse as these, it matters when you hit the bell of the cymbal or play a ghost on the snare. Philips knew it, and filled his parts with telling details. My favourite track on the album is weary ballad Backseat. OK, I love half-time feels generally, and Hatfield’s clean guitar sound is gorgeous, but it’s Philips who puts the song over. The short pre-choruses benefit from his tom-and-snare build ups (authoritative but not heavy-handed – Philips knew he wasn’t in a stadium), and the choruses see him displacing the backbeat to emphasise Hatfield’s chord changes, while adding further accents on the cymbals. 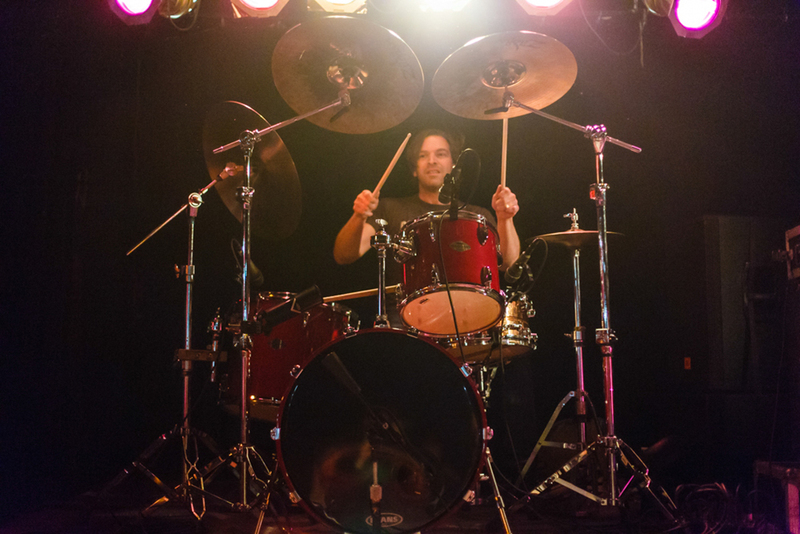 Hatfield’s worked with a lot of drummers and made a lot of records now, but nowhere else in her discogrpahy has a drummer paid such close attention – and given such sympathetic support – to her songs. Hatfield’s in the news this week because of her just announced new band with Paul Westerberg (the I Don’t Cares), but even so, this is unlikely to change. This entry was posted in Music and tagged 1990s, alternative rock, Atlantic Records, Audio Engineer, audio engineering, Become What You Are, Bed, Bullet LaVolta, drum sounds, drummers, Drums, drums sounds, God's Foot, Juliana Hatfield, Mikey Welsh, My Sister, Paul Westerberg, recording drums, sound recording, Sound recording and reproduction, The I Don't Cares, The Juliana Hatfield Three, The Replacements, Todd Philips, underrated drum tracks, underrated drummers, Weezer, Zoe on November 4, 2015 by rossjpalmer.